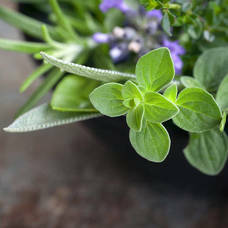 Reynolds Culinary Herb Garden Class is a customer favorite! Keep your culinary kitchen ready with fresh herbs to snip when you need them. At this workshop, you’ll create a Culinary Herb Garden featuring the most popular herbs used for cooking. After the workshop, you’ll receive a 25% Off coupon for an item of your choice at the Garden Shop! Workshop Fee: $40; 2 p.m. Space is limited. Registration and payment is required to secure your spot. Sign up today online @ ReynoldsGardenShop.com or call Maria at 609.597.6099. Reynold's is an advertiser for TAPinto Stafford-LBI. If interested in advertising with TAPinto Stafford-LBI and enjoying the benefits please email psharkey@tapinto.net.